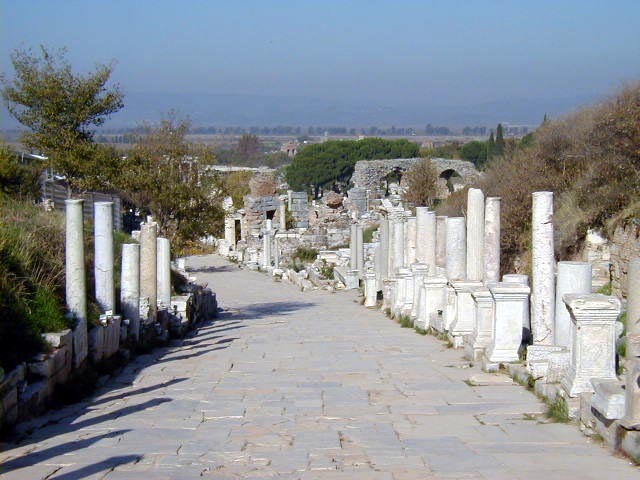 During the Roman Empire Ephesus was the capital of Roman controlled Asia, had a peak population of about 250,000, and covered an area that includes modern Selcuk. 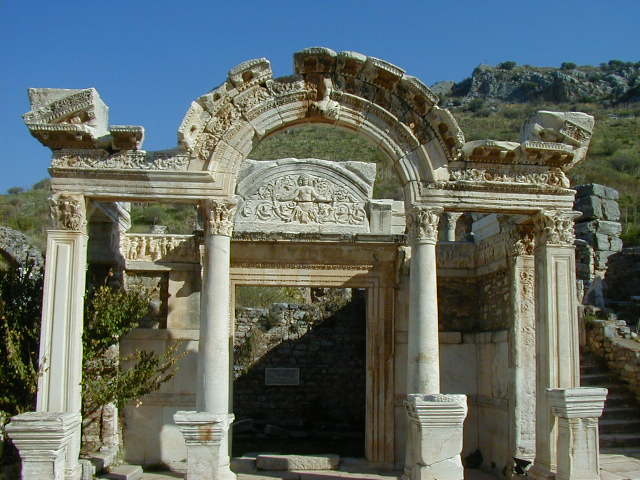 The center of Ephesus, and location of the most interesting ruins, is about two miles from Selcuk. 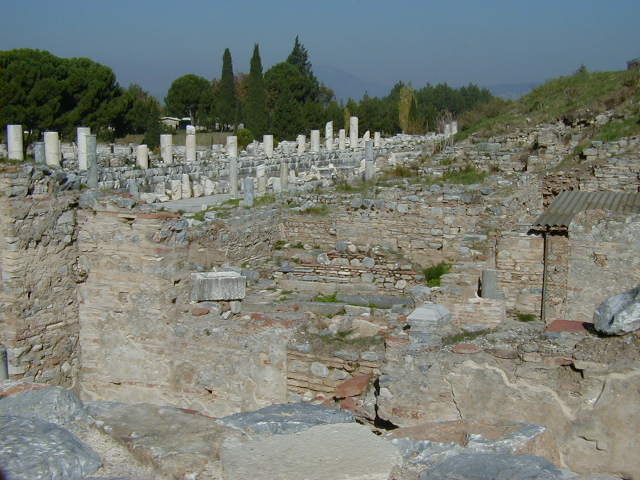 Ephesus was a harbor town, sitting on a navigable river that flowed into the Mediterranean. 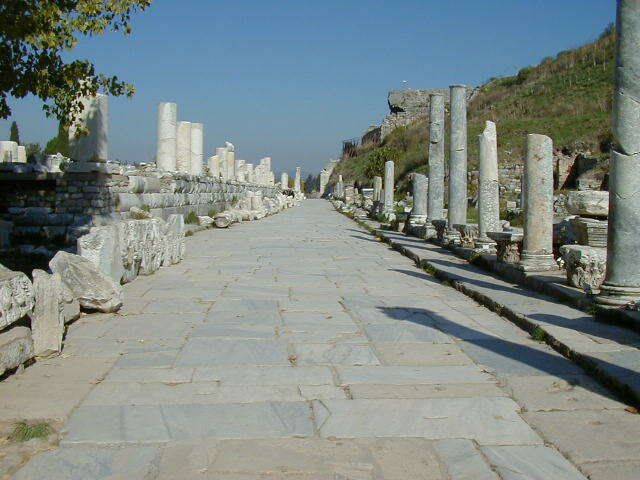 The river silted up and Ephesus eventually was abandoned, but it was quite a city in its day. 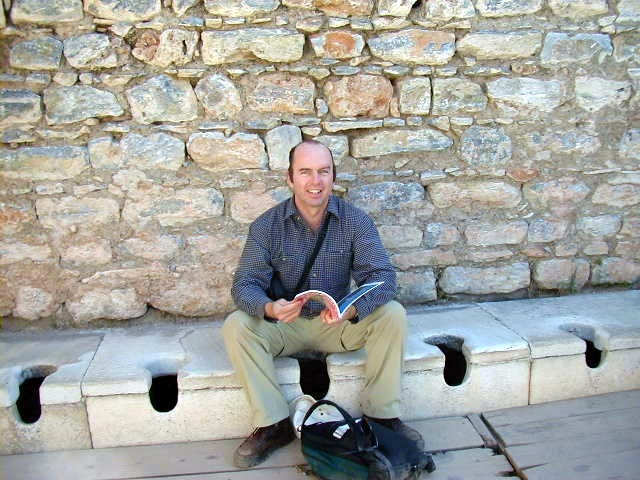 I won't give a bunch of dry facts out of my guidebook. 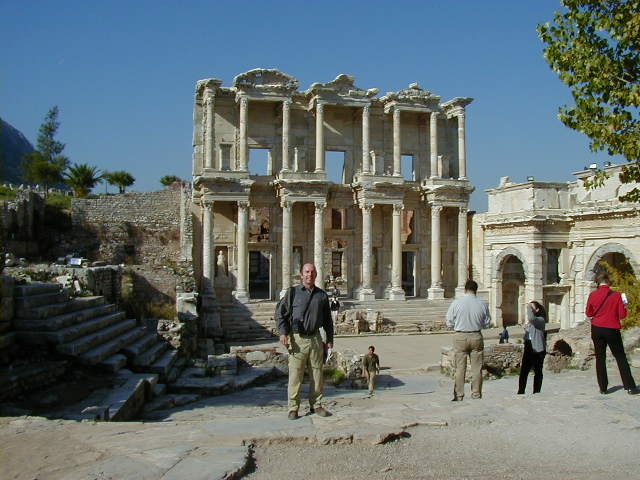 Usually I do, but I left my Turkey guidebook at the Artemis Guest House. 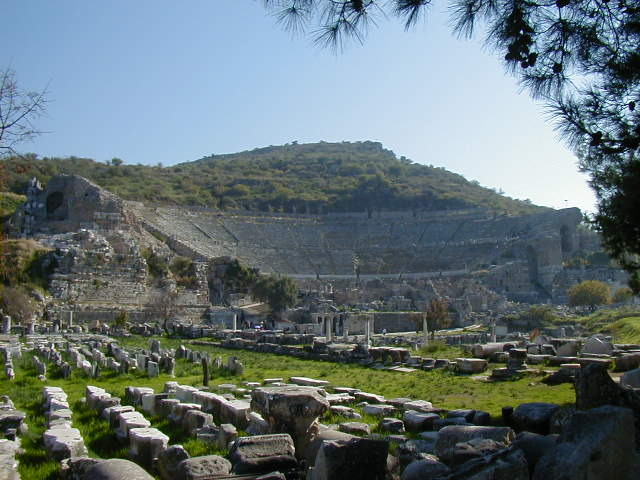 So, briefly, here is the Odeon--a place for small concerts and meetings, the entrance and exit to a hole in the ground I had to crawl through (there wasn't anything to see inside, but I wouldn't know that if I hadn't looked), Nike--Winged Goddess of Victory (now you know why the shoe marketing people chose that name), Curates Street, the mosaic entrance to the rich peoples houses, the Temple of Hadrian and the public toilets. 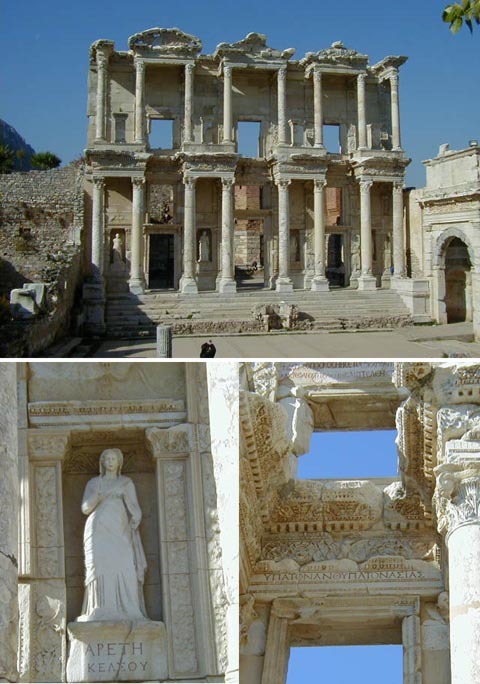 The most famous ruin in Ephesus is the Library. 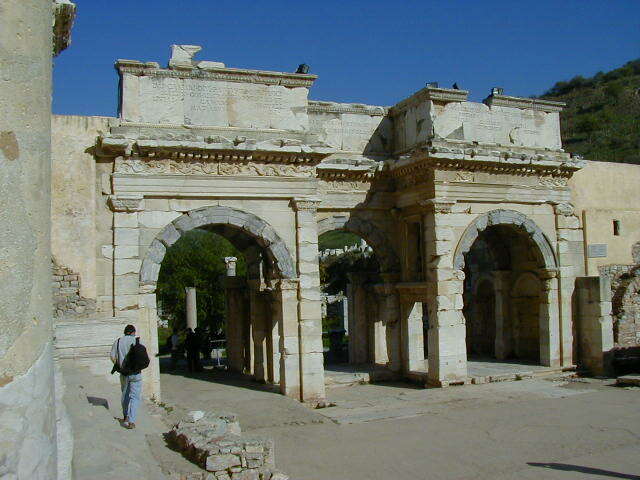 Adjacent to the library is the Gate of Mazeus and Mithridates, which led to the Agora. Across the street from the library was the brothel, shown after the picture of the gate. 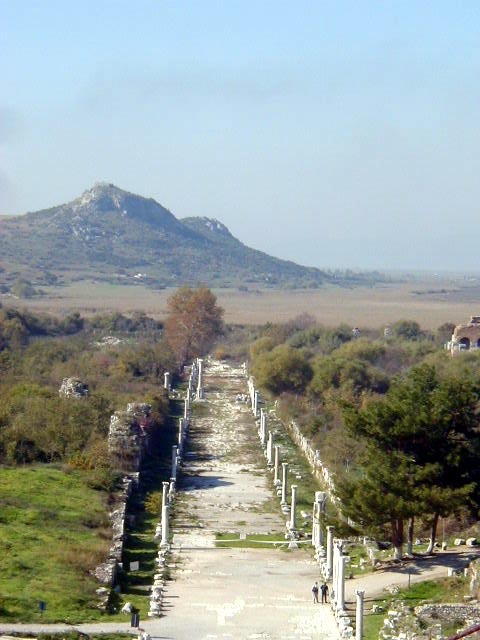 Even the educated Romans were a randy lot, they wanted their library and brothel conveniently close to each other. 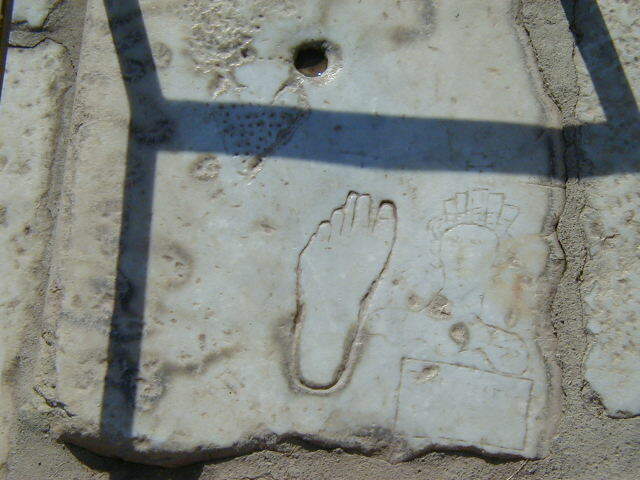 Next to the picture of the brothel is the oldest known advertisement in the world, for the oldest known profession in the world--a footprint carved into the street pointing to the brothel, along with some images clarifying what the footprint is pointing to. Near the brothel advert a partial text was found, translated as "You deserve a break today...so get up and get away...." Just think; the oldest known advertising jingle. 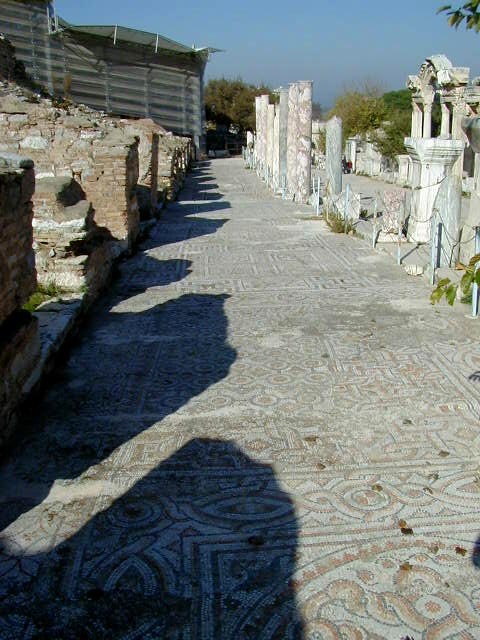 Leaving the brothel, with that catchy jingle still in mind, I headed down the Marble Street leading to the theater. 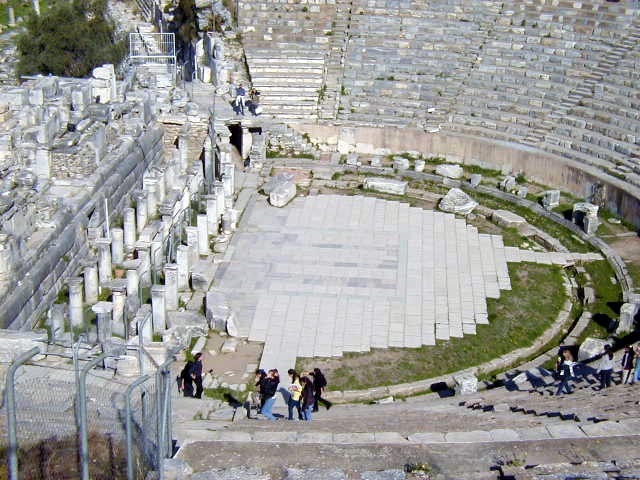 This theater was built by the Greeks in the third century B.C., with a stage on the ground partially ringed by seats. 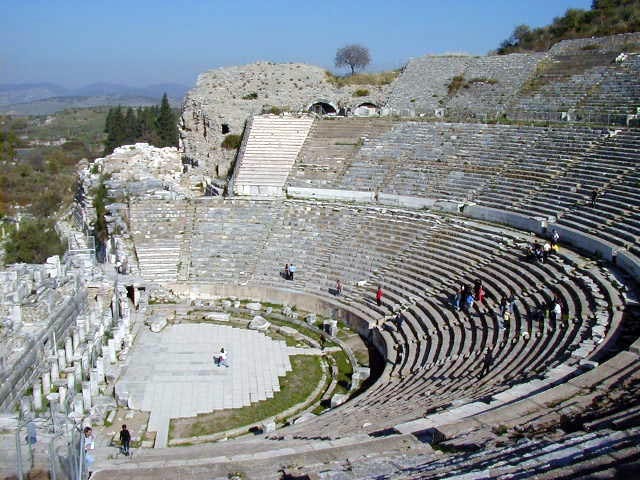 The Romans later modified it to their style of theater by building an elevated stage. 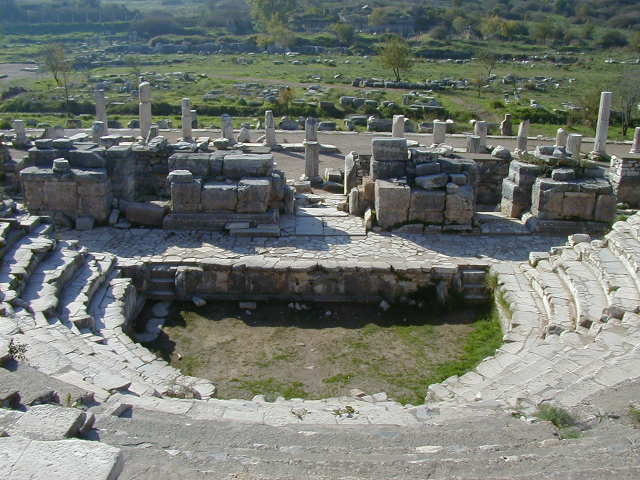 From the theater's top row you can see the road that once led to the harbor, and now ends in flat dry fields. 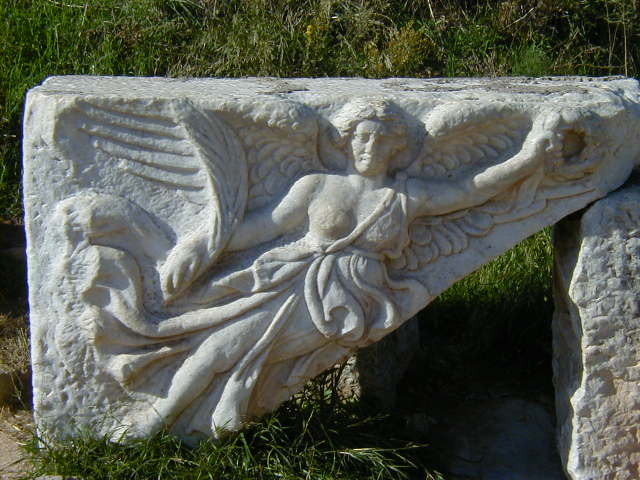 My next excursion from Selcuk was the mineral springs and ruins of Pamukkale. Even if you're not into the archaeology stuff, you should check it out for the calcium formations.